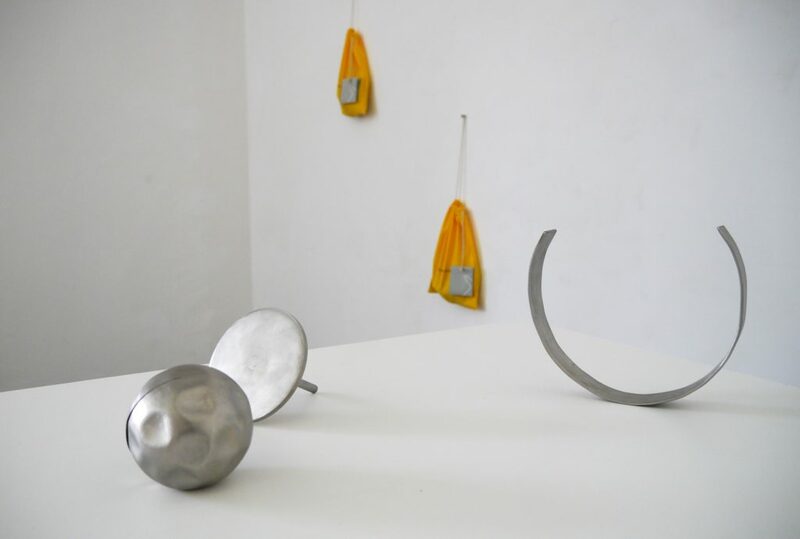 Set of three steel objects for individual or collective play, each one featuring a different moving and sounding behaviour. Coming with a photocopied text score/drawing on coloured paper. Packed in a printed yellow cotton bag.